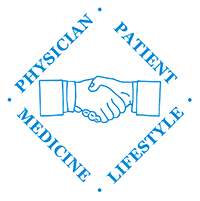 For those outside of the medical field, acronyms and medical terminology such as Patient-Centered Medical Homes (PCMH) might sound confusing, but the truth is, tackling these processes and achieving standards can be a bit daunting for people who live and breathe medicine every day too. In the spring of 2011, Margaret Lewis, practice manager for Partners in Family Health, had just returned from a PCMH conference in Philadelphia when she learned about Aligning Forces for Quality-South Central PA’sPatient-Centered Medical Home Collaborative, which brings together practices and business coaches to focus on key performance measures. Through PCMH, patients receive accessible, continuous, comprehensive and integrated care from their primary care provider. Just a short time later, Matthew Metz, a Six Sigma Deployment Champion and Energy Coordinator for SKF, a Hanover-based manufacturer of bearings and products related to seals and lubrication, joined Partners in Family Health as a business coach. With all parties a bit apprehensive and excited, the partnership began in March 2011. The changes all worked to improve patient care, whether altering methods of patient outreach or modifying internal workflow to create efficiencies. For example, through the process, the practice determined that many of their diabetic patients were not receiving eye examinations on an annual basis. The staff added this as a new measurement criterion and devised ways to ensure compliance. Additionally, the practice implemented the process of calling patients after they were discharged from the hospital or Emergency Department visits and gathered all of their medical record updates in advance of appointments at Partners in Family Health. Implementing this routine has also been very beneficial to clinicians, as the staff isn’t wasting time gathering further medical documentation. The doctors can spend more time with each patient, and patients also feel like the staff is truly engaged in their care. In addition to the direct patient changes, the practice also improved many efficiencies related to practice management and care delivery, including correcting 24 of the 32 waste-reduction items identified by all employees. The staff also worked closely with Matthew to employ the Kanban System, a manufacturing supply chain process to manage medical supply inventories. Partners in Family Health now saves time and money by knowing exactly when to order supplies and doesn’t need to keep excess on hand. While the process of obtaining PCMH certification continues to push all staff members to strive for excellence, Partners in Family Health is grateful to have had Matthew on their team until the coaching period came to an end in May 2012. Matthew’s work also was recently recognized by his company, as SKF honored him with the prestigious Excellence Award, presented on April 19 at a ceremony in Slottsviken, Sweden.